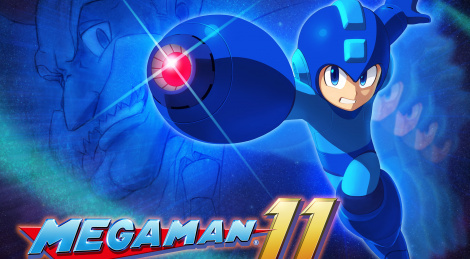 Yesterday, during its livestream for the Megam Man 30th Anniversay, Capcom officially revealed Mega Man 11, the new entry in the action-platformer franchise. The tite is expected to release in Summer 2018 for PC, PS4, Xbox One and Switch. Was wondering when this trailer would should up in high quality. I have liked everything I've seen with the exception of the running/walking animation, it looks really weird, like a cross between the two, but with all their bad sides. Still, everything else looks great a miles better than anything in Mighty No. 9.
would have preferred a pixel retro throwback tbh. never been a fan of the 3D megaman games. Many Thanks for upload this trailer!! I'd say this is sorta cell shaded. All the characters have a subtle black outline, and they use limited gradients. I'm liking how this looks, both visually and gameplay (from what i can make out of the short trailer). Running animation is perhaps a little off, but the rest looks like quality. Hopefully this game manages to get the level design right, unlike Mighty No.9 which fell flat in that area. Looks like Mighty No. 9 but good.